Fishing for Word Families with Penguins By Kindrglynn Penguins love to eat fish. Well, these hungry penguins are hungry for word families. Can you feed them the right word family? This literacy center is working on 8 different word families: at, an, en, et, in, og, op and un. Penguins Math and Literacy Fun! By Kristen Walsky This unit contains a wealth of activities for any book or unit on penguins. 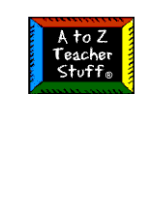 Included is a class book, decodable readers, literacy and math center games. Penguin Activities by Rebecca Anderton This new and revised Penguin Activities packet is now 115 pages long and chuck-full of fun and engaging centers and projects that all your students enjoy! Let’s Learn about Penguins By Giggly Games The activities included are: Mini-take home book, Penguin Facts File Folder Game, Penguin Pals Board Game, Penguin Match Game. These activities would be perfect for a penguin or arctic animals theme or any day of the year! Printable lined penguin shape for creative writing. Students will write a creative story or poem based on a penguin scene they create using ImageBlender.